A small version of the classic scene from Lanikai Point. 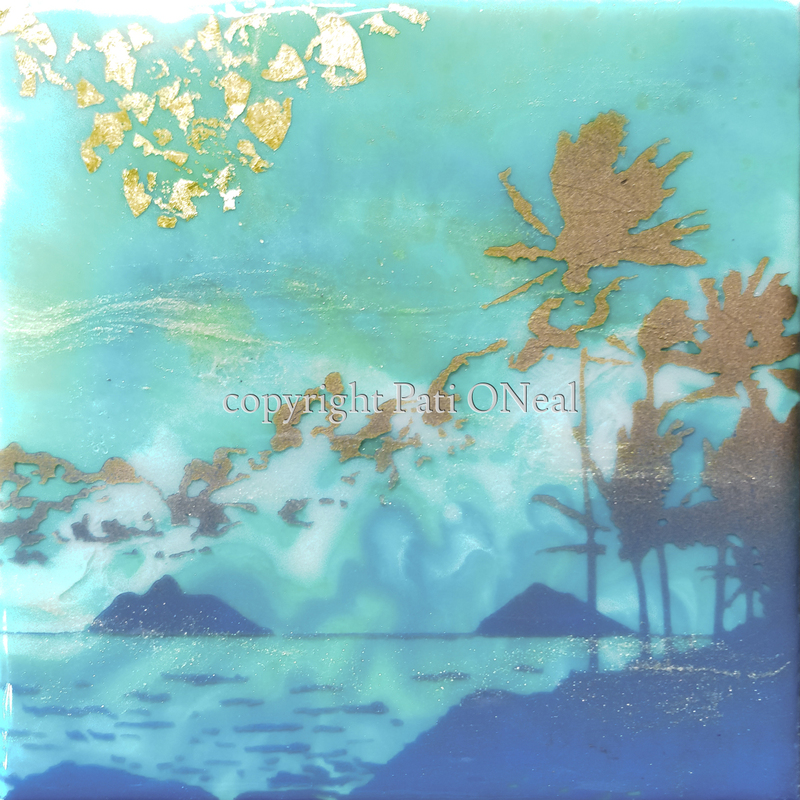 This little beauty is accented with gold leaf. The final appearance is created through the application of multiple layers. This original has been sold, for a similar commission contact the artist.